All people and organizations have to deal with change. Change in markets, technology, competition, relationships, life styles, divorce to name but a few. We all have to accept change and learn to manage it effectively. 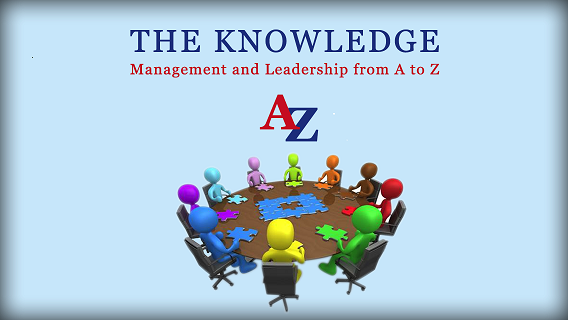 Organizational change tests leadership qualities to the full. Once the need for change has been identified, we will be faced with the prospect of implementing the change either personally or within our businesses. Sticking to the following three steps will ensure that the implementation is as trouble free as possible. It is all very well identifying the right changes, but implementing them can appear to be a formidable task. List the main differences between where you are now and where you intend to be. This list is essential in the effective management of change. Without this information there will be two potential challenges that may hijack your intentions and efforts. The first challenge is likely to come from staff who may feel their needs are not being taken into account. If they feel no one cares about the differences the change will make to their world they will not care much about the organization’s attempts to move forward. The second challenge is operational. You alone cannot be expected to identify each single difference that change will make to your function, department or organization, but a co-operative effort could. Those closest to the job will be able to view the changes from a different angle, and perhaps spot unforeseen difficulties or opportunities which you may have missed. The quickest and most effective way of getting anywhere is to work out the best route beforehand. Plan a route which breaks the journey up into manageable chunks. This helps to make the process seem far less formidable. When planning the route local knowledge is very valuable. That knowledge is usually locked up in the head of your staff, so consultation is not only vital in terms of their involvement but essential if you wish to avoid difficulties. Unless you manage the journey the grand design may fail. What may scupper it is the human factor. Follow the Change Cycle below, a simple model of how people experience change and then consider how individuals and groups can cope with pressures created by it. Understanding this can help managers and coaches provide practical support to people undergoing change. We can identify five stages in this process of adjustment to new circumstances. At each stage the relationship between levels of performance and self-esteem alters. By self-esteem we mean both self-confidence and satisfaction with life and work. “We’ve always done things this way” “Why change – we’re making a profit, aren’t we?” “Don’t change a winning team” “my life isn’t so bad really, I can cope with it staying the same” These are some of the ways denial can find expression. Faced with the possibility of change, people will often find value in their present circumstances, often in situations that they have complained of previously. Now the situation becomes clearer. People must begin to face up to new tasks, working for a new boss or with a different group of people, perhaps in a different department or at a new location. Thus they become aware that they must come to terms with changes in the way they work. People may attempt to defend their own job or their existing circumstances and often both performance and self-esteem plummet. At this stage people begin to let go of the past and look forward to the future. People begin to identify with the changes; they talk openly and constructively about the new way. When this point is reached, self-esteem begins to flow back. Just as people must adapt to new ways, so the new ways will have to adapt – procedures, structure and machines rarely work effectively first time and new relationships need time and effort to work too. People begin to try out the new situation for themselves. They test new behaviours, try working to different standards and ways of coping with changes. This way people learn new skills. Now the people involved have created a new life, system, process or organization. New relationships between people and processes have been tried, modified and accepted. These now become incorporated into understandings of the new way of working and the ‘new’ becomes part of ‘normal’ behaviour. It seems that people experience change in these ways – initially as disturbance, perhaps even as a shock then coming to accept its reality, testing it out and engaging in a process of mutual adaptation. Finally, they come to terms with it. Self-esteem and performance vary, initially declining and then growing again. The ‘engine’ for rebuilding performance is the self-esteem of the people involved. Finally, we do not suggest that people go through these stages neatly or that everyone goes through them at the same time or rate. The important point is that people do seem to experience significant changes in these ways and that this leads on to a number of practical ways in which the problem of coping can be handled. Coping with the process of change places great demands on the individuals involved, whatever their circumstances or level in the organization. As a leader or a coach you will be required not only to deal with your own reactions but also to assist others in rebuilding their self-confidence and self-esteem as a preliminary to lifting performance. ← With budgets tight, is coaching a worthwhile expenditure?